Your most cherished will love playing inside this beautiful multicoloured Chad Valley Wendy House; little ones secret hideaway! 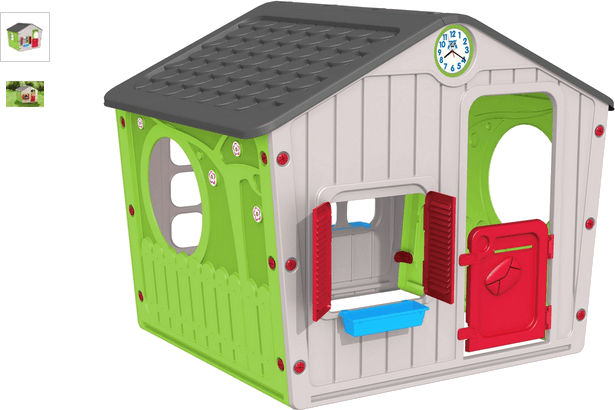 This funky, vibrantly hued playhouse has opening doors and windows to peep out of as well as groovy playful sunflower graphic decoration. Strong and sturdy, this wendy house is fantastic to stimulate roleplay in kids. Get money off with April 2019 free Argos voucher codes, see if there's a discount code for the Chad Valley Wendy House - Multicoloured product.